Age: 13 years old Birthday: April 23 Class: Year 1 Middle School - 7th Grade Height: 134 cm (4'4") Weight: 56 kg He is a middle school student and is overweight. He has been bullied for many years and because of that likes to go to places where no one is like the squash game on the local network at school. One day he had an encounter with the school's most beautiful, refined girl, "Kuroyukihime", which changed his life abruptly. 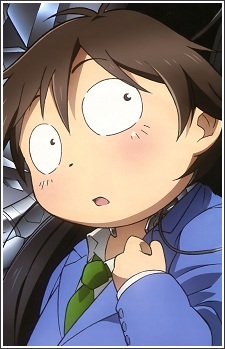 Introduced to the software she transmitted, Haruyuki learned about "Accel World", a program that enhances one's mind capabilities, with certain side-effects of him becoming Silver Crow and seriously changing his life. His avatar is the first real flying avatar.